It took me a long time to write this profile of myself because it forced me to re-live what has happened to me. That, in itself, is painful. As some fellow patients of rare diseases have done, I diagnosed my own case of Polycythemia vera. I wish I could tell you that I was a doctor who brilliantly discovered my problem. Sadly, I am a doctor who fought a system that mostly ignored and doubted me. The process of getting an accurate diagnosis and treatment hurts to recall because I was always in pain. In late 2008. I began to suffer with severe neck, shoulder and arm pain along with symptoms of leg heaviness and numbness. I had a surgical procedure in 2010 for a herniated disc in my cervical spine. Not only did I not experience any relief of pain from surgery, but I also suffered a blood clot in my left vertebral artery and a subsequent Wallenberg stroke. I then began feeling short of breath and wheezing. During this time I was seeing multiple physicians with no clear diagnosis. I was led to many specialists and the list of unusual symptoms was growing. What was happening? I had been a physically fit 50-year-old woman. In addition to the pain, fatigue and brain fog, I began to experience severe migraine headaches and disabling itching after showers. I knew something was terribly wrong! Finally, I found aquagenic pruritis in my Google search. One explanation was P. Vera. I went back through all my recent blood work and there it was: my Hemoglobin and Hematocrit had been creeping up for a while. I referred myself to an out of town hematologist/oncologist. Upon greeting me, the hematologist asked, “What is a healthy person like you doing at a cancer center?” I told him my symptoms, requested a JAK2 test, and asked that he confirm that I do not have Polycythemia vera. He honored my request, but added that he did not believe I had anything wrong with me. That changed, when the test came back positive and my HCT had climbed. It was 2012 by the time my diagnosis was made. In that time I had accumulated every symptom of P. vera and the complications of an arterial blood clot and stroke. An 8-inch clot runs from my chest into my brain. Despite having laboratory evidence of a condition and a complete P. vera symptom list, I still fought resistance from the medical establishment. After many phlebotomies and getting the counts down, I was told that because my Hematocrit was below 45, I could not possibly experience aquagenic pruritus. The hematologist recommended psychiatric care and even had a psychiatrist call me. The hematologist believed that I had developed a” learned response” to the itching and held onto it for some reason. Rather than seek psychiatric care, I consulted Google/ YouTube and found Dr. Rubin Mesa (Mayo Clinic) and the MPN Forum. Dr. Mesa explained details on his educational videos that most hematologists do not know. Because Dr. Mesa is a leader in myeloproliferative neoplasms, his perspective is far reaching. He has seen people with high symptoms burdens despite standard treatment. I became and still am a patient of Dr. Mesa. The MPN Forum community validated my symptoms. Many other people are experiencing the same complaints. Worse yet, they may be told that their symptoms are not “real”. I bet if they read their entire medical record, they would find their History to read only the doctor’s interpretation of their complaints rather than their own words. My husband and I recognized a pattern in medicine: The doctor writes what he or she “thinks the patient is saying” into the medical record. Because I am a physician, I always get a copy of my entire note. We would review the History component of the document. This is the part that records my reported symptoms. Time and time again, we would find entire discussions omitted from my medical record. My own medical story was being censored from my health record! Our frustration with medical care made us fierce patient advocates. As physicians, we elected to open the patient portal function of the electronic health record (EHR) in our private family practice. This would allow our patients to read everything in their medical record through a secure website. How would our patients react to reading their own record? Would they find errors or omissions? How would they correct an error? Worse yet, how would our staff respond to patient complaints? As a physician and a certified professional coder, my husband Michael worked within billing & coding rules and federal patient rights to create a process for patients to engage with their health record. This resulted in a published guidebook. We created written rules of engagement for patients and providers. About this time I had to stop work, I was just too ill and Michael carried on the practice. We formulated a means to allow all of us to be our own patient advocate. We highlighted federal rights in HIPAA (The Health Insurance Portability and Accountability Act 1996) supporting the patient advocate cause. You have the right to view and amend your medical record. Now the HITECH Act (Health Information Technology for Economic and Clinical Health Act) is mandating patients be able to “view and amend” their health records. 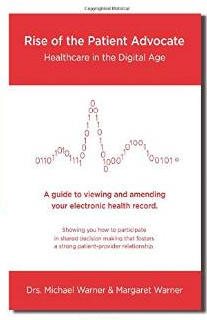 Our guidebook Rise of the Patient Advocate – Healthcare in the Digital Age was published in March 10, 2015 . Two weeks after publication, we began a research study to accommodate patient pre-histories in a family practice setting. In addition to being scanned into the electronic health record (EHR), the PreHx supplies content for the History component of the encounter note. After the visit, patients were given a copy of the entire note..
Healthcare in the United States is in trouble when it comes to quality, satisfaction and cost. Patients with chronic diseases suffer the most in a dysfunctional system. They are often victims of our system rather than recipients of good care. It is time to turn things around and you have an opportunity to improve your healthcare. Patients should be “clients” of our healthcare system. At the very least, we should be able to express our complaints and have our words documented in our health records. Patient Advocacy Initiatives was created as a non-profit educational patient advocate organization. Free Pre-History forms and short videos are available online to empower patients to be their own advocate. Since using a Pre-History, my record now displays “my medical story.” (I wish I had had this tool a few years ago.) This not only affirms my patient experience, but more important, allows me to move forward with my care. The focus of my medical encounters has shifted from defending my complaints to battling my disease. This gives me hope and makes me encourage all patients to take this type of active role in their healthcare. MPN Forum has a special place in my heart. The information helped me find a diagnosis and get treatment. I look forward to functioning as an advocate for MPN patients in clinical trials. Meanwhile, I encourage you to be your own patient advocate. Reading this story today resonates. Thank you for sharing it. It means a lot to know that I am not alone. Thank you for taking on this role. Much appreciated! Thank you so much for sharing your journey and joining us here…..and being an advocate for us all as well. Welcome! Your writing is so revealing about healthcare in the US. Thank you for sharing it! Is there a way to purchase your book (which, coincidently was published on my birthday)? Thank you, Margaret For being our collective voice and advocate. Thank you for your new role and dedication to the cause. I feel fortunate that my PCP had concern over a slightly enlarged spleen, with no clinical signs, back in 1999. From then, onto the hemo/onco for tests, BMB, scares and worries, etc. I have progressed from PV to MF and frequent transfusions. I am still hopeful there will be something for me besides SCT. With you, Margaret, as an advocate, we should be even more informed of the safety and efficacy of clinical trials. Hooray for you. And, thank you. Margaret, as a fellow physician, and person with PV (I also made my own diagnosis after many of my own docs missed opportunities to make the dx) I, too, am thrilled that you have taken on the role of patient advocate for us! And it is wonderful your husband will be contributing as well. I look forward to reading your recent book. I previously served on the FDA Risk Communication Advisory Committee (representing Behavioral Medicine/Clinician-Patient Communication) and met a fabulous patient advocate who also serves on panels reviewing cancer treatments. Her name is Musa Mayer. Musa has developed training programs for FDA patient advocates, who are usually not physicians, to learn about controlled trials, tests of significance, shared decision-making, etc. I am also happy to help out in any way I can. Hope you are now responding to PV treatment and have had some improvement in your condition. Best wishes! And thanks, again! Fabulous- and very much needed here in Australia. Thank you for you and your husband’s dedicated and focused work. It is relieving to hear that things can and do change with a concerted effort! So glad you are taking this on, Margaret – thank you for helping MPN patients everywhere! Thankyou for sharing your very interesting story. MPN patients (myself included) are extremely fortunate to have you as an advocate. Thank you Margaret for taking on this role! We are very fortunate to have you. Thanks for sharing your story. I’m so sorry to hear about all you have been through. I know, however, that it will make you an even stronger advocate and bring us all closer to new treatments and possibly a cure. Thank you for your advocacy and empathy. You will be helping so many people. Our group seems much larger than I first thought. I’m not a Dr but so many of us are forced, as I was ,to make our own diagnosis. I had to fight and push for treatment. Also my Dr seems to not realize that I can get my records and see her notes . Many of which were erroneous and sarcastic. So keep on trudging along for everyone. You and your husband have turned a negative Into a positive that we will all benefit from. Welcome, and thank you for being an advocate for the MPN community. Almost all of us can relate to your story! Thanks Margaret for taking on the role. Your story had many similarities to my own delays in diagnosis of PV. Your reference to shoulder pain was interesting as it was that plus wrist, hand, hip and knee pain and blood test results (plus prior heart attack 6 months earlier) which saw me referred to my haematologist here in Melbourne Australia. I had self diagnosed PV before I saw him. I will find out from another PVer here if there is any similar advocate. 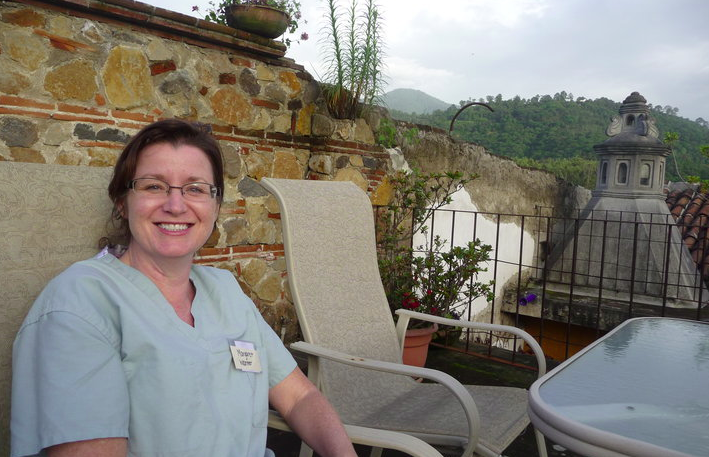 Thanks Margaret for your story and your time-consuming work to assure patient advocacy. I have been my Mother’s patient advocate and now my own, adjusting my own medication for ET, realizing that my platelets are proliferating and besides our great support group one of the only one that validates the symptoms that I am experiencing despite being an active, relatively active 61 year old with blood cancer. You are appreciated!!! Thank you and welcome! Margaret, you are an inspiration! Thanks for sharing your story. Its comforting knowing we have a Dr looking out for us that have faced the same struggles many of us have gone through. Thanks for taking on your new position. Your background and difficult personal experience with having PV should be a wonderful asset to draw from and a benefit to many. Welcome, Margaret ! Good luck on all fronts ! Thank you Margaret for sharing your story, and for taking on this monumental and extremely important task of MPN advocate! Your background and experience with PV are invaluable assets! I have had to find out the hard way how to become my own advocate, but as you know, this disease is scary, isolating, and exhausting. The MPN Forum has been a lifeline for me, and I am very happy you have joined our little family! Welcome and thank you!! Thank you so much Margaret for accepting this job. We certainly need someone like you with a medical background and a desire to be our advocate. It will be interesting to see what you will be doing and how we can help as well. Best wishes to you and your family and again thank you so much for stepping up to this challenge!!!! Thank you for taking this on! It makes me realise how fortunate I have been with my consultants. Welcome Margaret, and thank you for taking this role on! Clearly you know our struggles from the inside. That gives me great comfort! 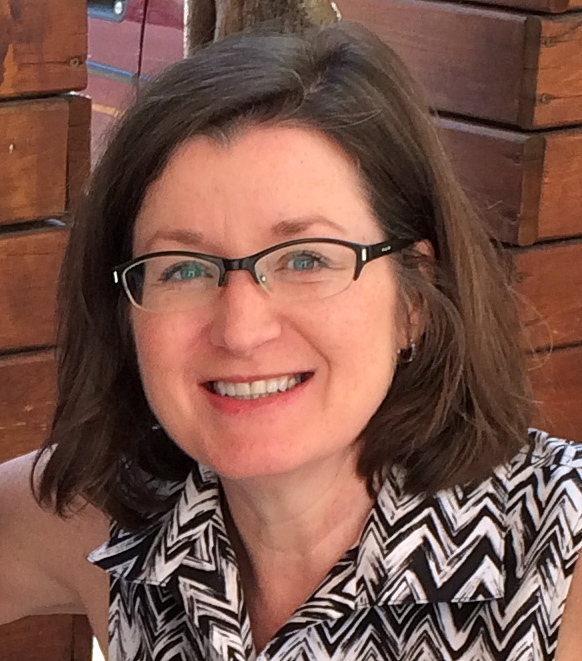 Thank you to Margaret our mpn patient advocate …really appreciate all you are doing. Thanks for sharing your story was very encouraging. Thank you for sharing your story and taking this on! Your background and perspective will be invaluable in this role- a huge thank you from patients & caregivers, family and friends! Thank you so much for sharing your story. It helps us to know that even medical professionals have faced the same as we have in obtaining diagnosis and help for treatment. Please keep us updated on what you are doing and again thanks. Amazing story. So grateful to have a physician as a patient advocate for MPN clinical trials. This story gives me a sense that we are moving closer to a cure of MPN’s. Thanks for your very informative information, everything you said runs exactly as stated, I have PV, and feeling the same symptoms, will be interesting to hear of any help you can give us. Congratulations and a big thank you Margaret for accepting this job! I can’t imagine anyone better qualified. Please please please keep us posted on the status of your work on our behalf. Thank you very much for sharing your experiences. Glad to know I’m not the only PV patient who still gets the pruritis, even when my hematocrit is < 45!